Beautiful handmade Sterling silver bangle with an ice inspired design. 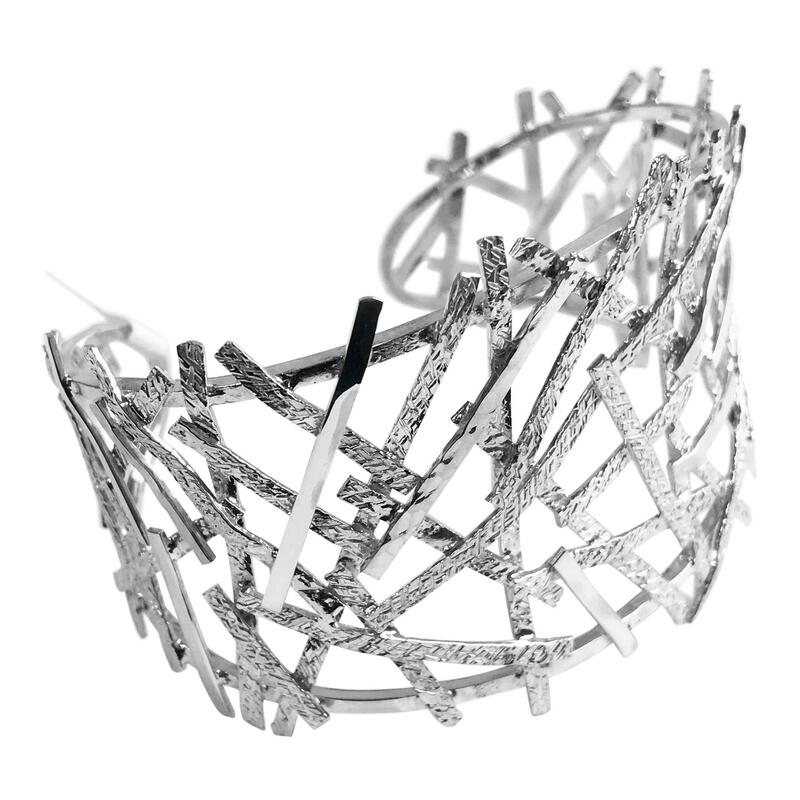 This statement bangle features jagged interlinking textured silver shapes inspired by the formation of ice crystals. Makes the perfect statement set with the Ice Art Pendant and Ice Art Stud Earrings.